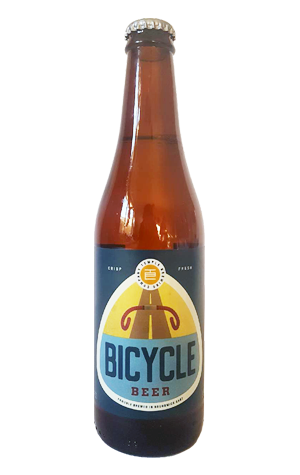 One of Temple’s most established (and best known) permanent beers is a refresher with relatively low alcohol designed for, you guessed it, quaffing while still leaving the drinker able to cycle home. Slightly tart, thanks to the use of the American wheat yeast, it has a subtle hop aroma created by a blend of seven hops, one that's at once slightly spicy and citrusy. In typical Temple fashion, there's an unusual ingredient, this time it’s sea salt that adds a dryness to the finish and delivers the beer right into the heart of thirst-quenching territory.